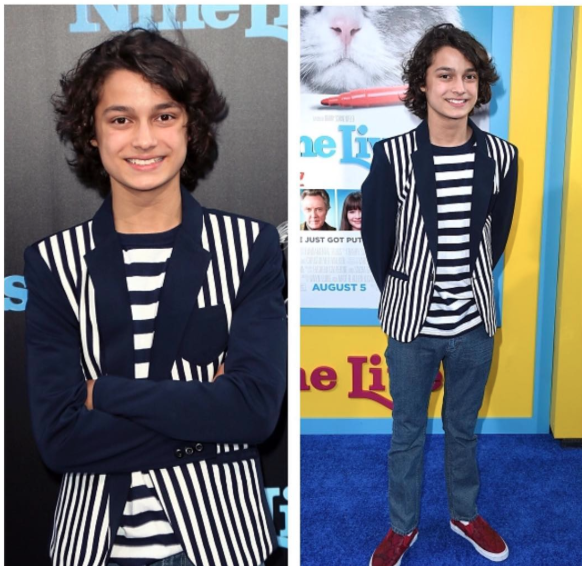 Article: Rio Mangini Rocked One Of The Coolest Jackets At The “Nine Lives” Premiere! Looking super cool and having a blast, the incredibly talented and magnificent Rio Mangini had so much fun as he attended the “Nine Lives” movie premiere yesterday, August 1, 2016 at the TCL Chinese Theatre in Hollywood, California. Rio Mangini looked amazing rocking one of the coolest, striped jackets at the event. Rio also had an excellent time as he caught up with a lot of his friends at the event including Asia Monet Ray, Lilimar, and Jacob Hopkins. Check out more photos below of the spectacular Rio Mangini at the “Nine Lives” movie premiere! We are totally loving his blue carpet attire! Follow Rio Mangini on Twitter and Instagram: @RioMangini and check out our VIPAccessEXCLUSIVE updated interview below! Previous Article: Lilimar Gave Us Total “Scream Queens” Vibes At The “Nine Lives” Movie Premiere! Next Article: Cree Cicchino Celebrates 300K On Instagram By Running 300K – You Have To See The Videos Here!